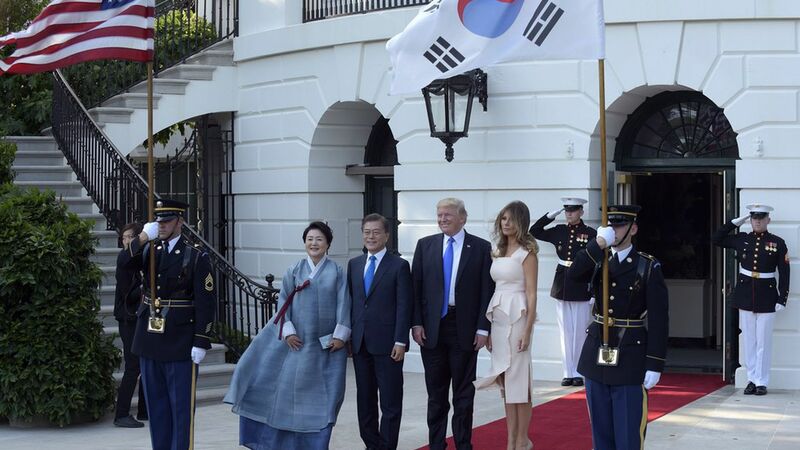 Trump welcomed South Korean President Moon at the White House Thursday evening, noting it was a "great honor" to host him. Trump commented that they were going to have "tremendous discussions tonight" that might go late into the evening about "North Korea and trade and other things." Trump did not acknowledge reporters' questions about his tweets on Mika Brzezinski.